Your special occasions need an event location that is just as special? 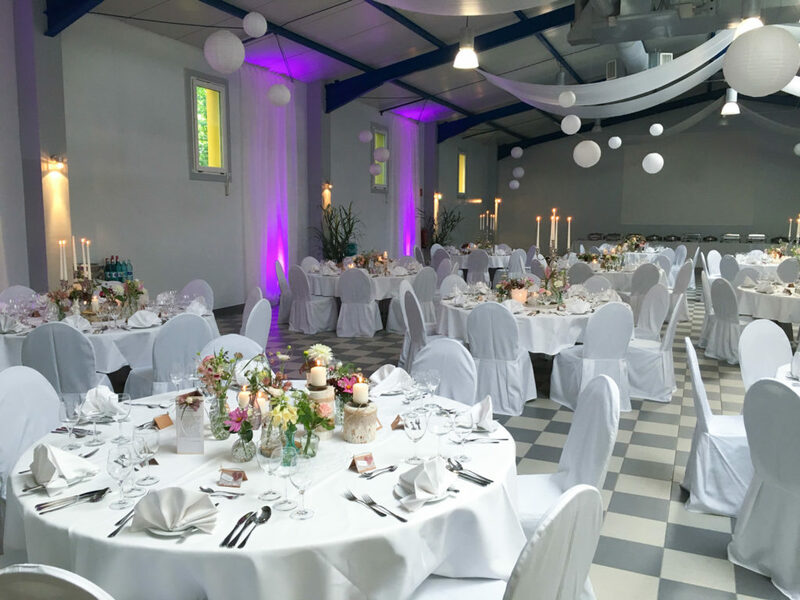 Villa Marburg together with the park, terrace and restaurants are available for you to use for weddings, birthdays and a lot more! We organize your individual celebrations in our inviting rooms, and in doing so, offer plenty of space and diverse entertainment options for all of the favorite people in your life of any and all ages. Invite up to 200 guests in our large festival hall, and together, let’s make sure your event is an absolute success in our villa. Besides an own checkroom and stage elements, a partially covered outdoor area invites you to relax and linger here with your guests. No matter whether menu, buffet or decorations – we coordinate the details with you based on your individual wishes, and as icing on the cake, we provide one or the other exciting idea that will make your celebration unforgettable.